Water is the first part of our Guide to Health. 3/4 of the earth's surface and about 65% of the human adult body is composed of water. When we are born we are about 90% water. Water is one of the most fundamental aspects to health and healing. During the evening the body detoxes and cleans up the waste and toxins that have accumulated throughout the day and over time. To assist the body in eliminating the toxins and waste products, it is beneficial to start your day with water. For one month have a large glass of water before breakfast and before any coffee, tea or juice and notice the difference that it makes to how you feel. Ending your day with water assists the body in detoxing and cleaning up during the night. Ending your day with water can also add to a more restful sleep. Ensuring that you have adequate water consumption is one of the most important steps to ensuring that the body can eliminate toxins. Starting and ending your day with water is one of the simplest and most effective steps you can take towards health. Water serves a number of functions in the body including moistening tissues, protecting organs and tissues, increasing overall energy of the body, cellular transmission of nutrients, cellular communication of thoughts and emotions, regulation of body temperature and the elimination of toxins. 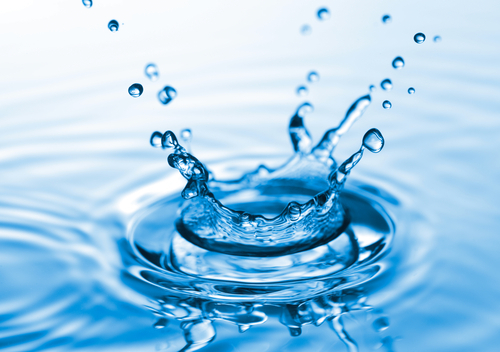 Every cellular and metabolic function relies on water. One of the most common questions that I am asked as a naturopathic doctor is "how much water do I need to drink?". The accepted rule-of-thumb is that you require 1/2 your body weight in ounces. So, if you weigh 160 pounds you would need to consume 80 ounces or equivalent to 10 glasses of water a day. 1/2 to 1/3 of your water consumption can come from food, if you are consuming foods high in water such as fresh fruit (dried fruit and fruit that has a high sugar content - bananas, pineapple, mango, etc - can actually be dehydrating), fresh vegetables that grow on a vine or that grow above the ground (i.e., tomatoes, cucumbers, zucchini, swiss chard, lettuces, celery, etc) and broth-based soups and stews (soups with dairy are less hydrating). The main beverages that are dehydrating include caffeinated drinks (coffee, tea, cola and other soft drinks), juices and other beverages that have added sugar. The main food that is considered dehydrating is sugar and foods high in sugar such as pastries, cookies, candies, chocolate, etc. Diets that are high in grains and protein without adequate fruits and vegetables can also result in dehydration. The more dehydrating drinks or food that you consume, the more likely you will be dehydrated unless you are compensating by increasing the amount of water that you drink. Check out this link to learn more about the importance of water on overall health. One of the worst habits that people have is drinking water with their meals. The stomach secretes hydrochloric acid which is responsible for breaking down food. The hydrochloric acid has a pH of 3.5, which is necessary to ensure that the food is properly broken down. When you drink water with your meals two things happen - first, the pH of the stomach acid rises as the pH of water is higher than the stomach acid and second, the water dilutes that stomach acid. Both of these can give rise to hypochlorhydria which is a condition that causes poor digestion, malnutrition and is associated with a number of other conditions. One of the signs of of hypochlorhydria is heartburn or reflux. Many people associate heartburn with high stomach acid when, in effect, both high stomach acid and low stomach acid have similar symptoms especially as one ages. Taking a prescription for heartburn increases the likelihood and degree of hypochlorhydria, Check out this link for more information on hypochlorhydria. If you feel that you need to drink something with your meals, consider tomato juice, or even better still, increase the amount of water-based foods in your meal and you will often find that you don't need to drink water. Dehydration due to extensive exercise is quite common. Any activity that results in sweating not only can contribute to dehydration but to a loss of electrolytes. It is important to ensure that you increase your water consumption and you replace electrolytes before and after exercise. Plastic containers, especially those that have Bisphenol-A (BPAs), will breakdown whenever there is a change in temperature. 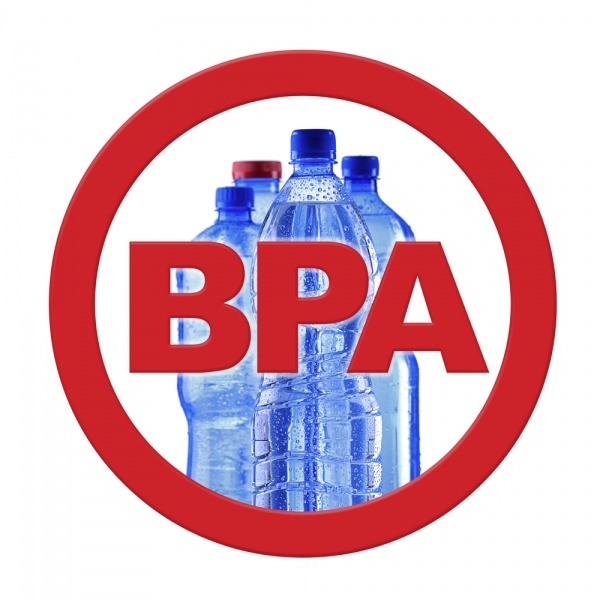 Historically, most soft plastics contained BPA - even baby bottles and baby toys were high in BPA. BPAs are one of many environmental chemicals that are known to disrupt health and to contribute to disease. The link between BPA and hormone disruption and breast cancer has been proven and has resulted in many BPA-free choices, especially as it relates to baby bottles and baby products. An area that is lagging behind is bottled water. Between when the water is bottled and when you buy it, it probably has withstood many changes in temperature and hence, the BPA in the water bottles is continually being leached into the water that you drink. Besides the terrible environmental impact of millions and millions of plastic bottles, I encourage you to avoid drinking water that has been bottled in plastic that is not BPA free and ensure that whatever you choose to carry your water in does not contain BPA. Good choices for carrying water include glass or stainless steel containers. As part of our Guide to Health Series we will be offering weekly tweets and in-house seminars on each topic. If you are unable to attend our seminars, we will be providing video highlights of some of the seminars on our website. Follow us on twitter for weekly updates. If you have any questions about water that you would like us to address please contact us at info@naturopathicfoundations.ca. We will be posting all answers on the "Water" page on our website.